..stands with anything Dylan has done. ..it was like seeing a precious diamond being held at an unfamiliar angle under a new light, revealing yet more depth and beauty to an already treasured gemstone. 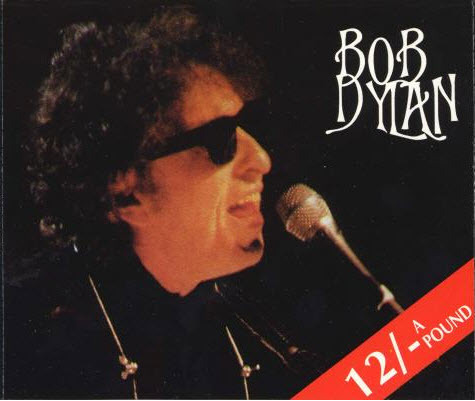 ..Dylan fans ache for this version to be released officially. Prague is the capital and largest city of the Czech Republic. It is the fourteenth-largest city in the European Union. It is also the historical capital of Bohemia proper. Situated in the north-west of the country on the Vltava river, the city is home to about 1.3 million people, while its larger urban zone is estimated to have a population of nearly 2 million. The city has a temperate oceanic climate, with warm summers and chilly winters. Prague has been a political, cultural, and economic centre of central Europe with waxing and waning fortunes during its 1,100-year existence. Founded during the Romanesque and flourishing by the Gothic and Renaissance eras, Prague was not only the capital of the Czech state, but also the seat of two Holy Roman Emperors and thus also the capital of the Holy Roman Empire. It was an important city to the Habsburg Monarchy and its Austro-Hungarian Empire and after World War I became the capital of Czechoslovakia. The city played major roles in the Protestant Reformation, the Thirty Years’ War, and in 20th-century history, during both World Wars and the post-war Communist era. Prague is home to a number of famous cultural attractions, many of which survived the violence and destruction of 20th century Europe. Main attractions include the Prague Castle, the Charles Bridge, Old Town Square, the Jewish Quarter, the Lennon Wall, and Petřín hill. Since 1992, the extensive historic centre of Prague has been included in the UNESCO list of World Heritage Sites. The greatest version of “Shelter from the storm”, even when Dylan interrupts his guitarist John Jackson with his harp. The tunes I heard seem to have a real down-home country-tinge, maybe because pedal steel is highlighted. Listening to “Baby Blue” is a true delight; Bob sings it lovingly, without a trace of the oft-heard anger. And his harp is beyond terrific! Good stuff.